I saw this recipe on Spark PeopleDOTcom originally but I wanted to put my twist on it. Their recipe is a Spinach and Feta Cheese Quiche.However, I didn’t have any feta cheese this time, so I use what I had on hand fresh mozzarella cheese. Technically this is a crustless quiche, but the addition of flour makes for a delicious crusty bottom and sides. This is great as a main dish or as a light brunch meal. The variations are endless! Sorry no pictures.. I deleted them before I put them on the my computer. But I will update this recipe with pictures when I make it again. 3. In a large mixing bowl, whisk together eggs, flour, baking powder, and salt. Whisk in milk, and then stir in spinach-onion mixture. 4. Cut mozzarella ball in half. Cut half into small pieces and put in mixture. 5. Pour quiche base into prepared pan. 6. Slice the remaining mozzarella and place on top of quiche. 7. Bake for 25 minutes, or until center is set and the outside edge is golden brown. 8. Let set for 5 minutes, then slice and serve. Hello everyone!! I seen this awesome recipe on Pinterest and I had to try them. 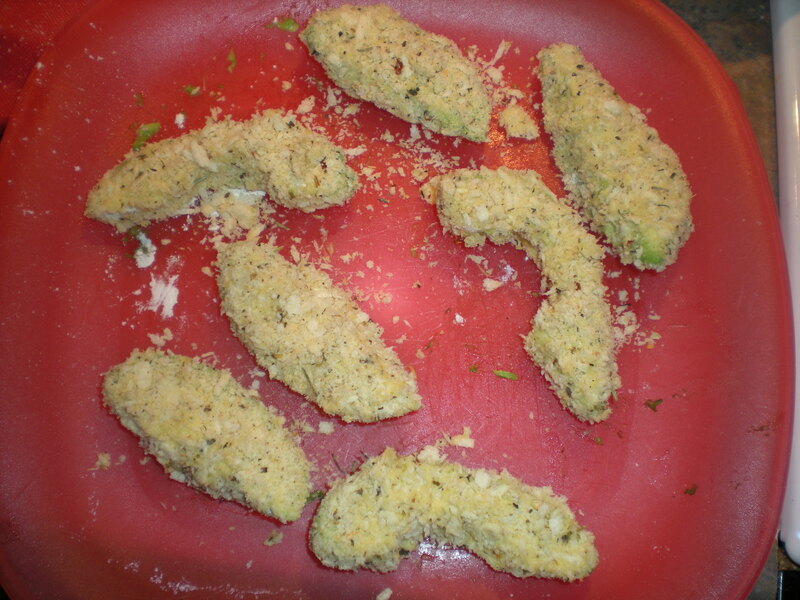 Okay I was a little skeptical about the idea of eating baked avocado fries. However, I must admit, these are the bomb!!! The have a nice church when you bite into them. 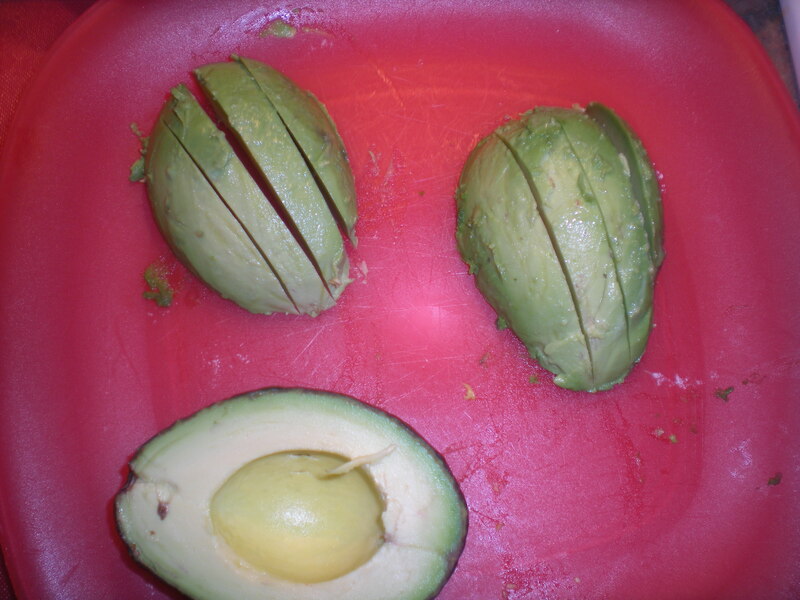 Then you get that rich buttery texture of the avocado. I use ranch dressing as a dipping sauce. Yum!!! I have found a new guilty pleasure. So try it out and let me know what you think. 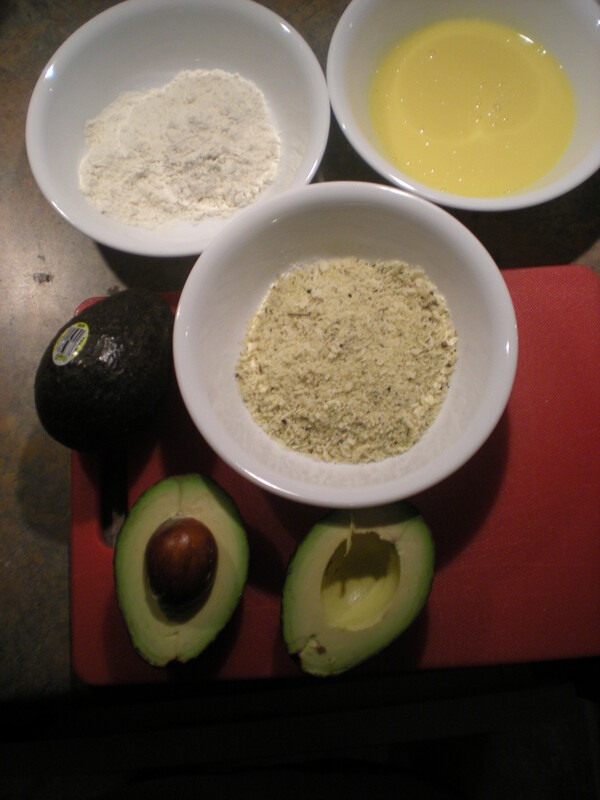 Coat avocado slices in the four, then egg, then panko. 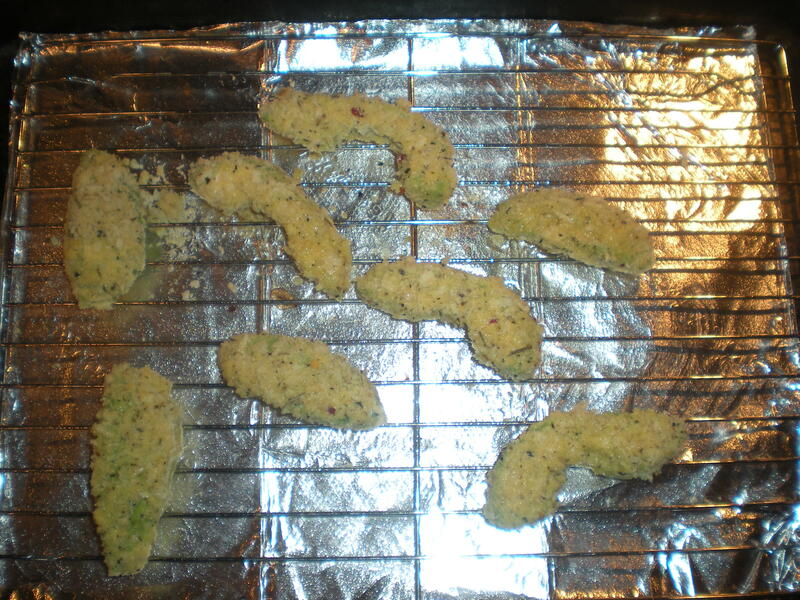 Spread on a cooling rack that has been sprayed with non-stick spray, then place on a cookie sheet. Spray the top of the wedges with olive oil and sprinkle with salt, then bake for about 20 minutes at 450, or until they are golden brown (I turned my oven up to 500 for the last 5 minutes). 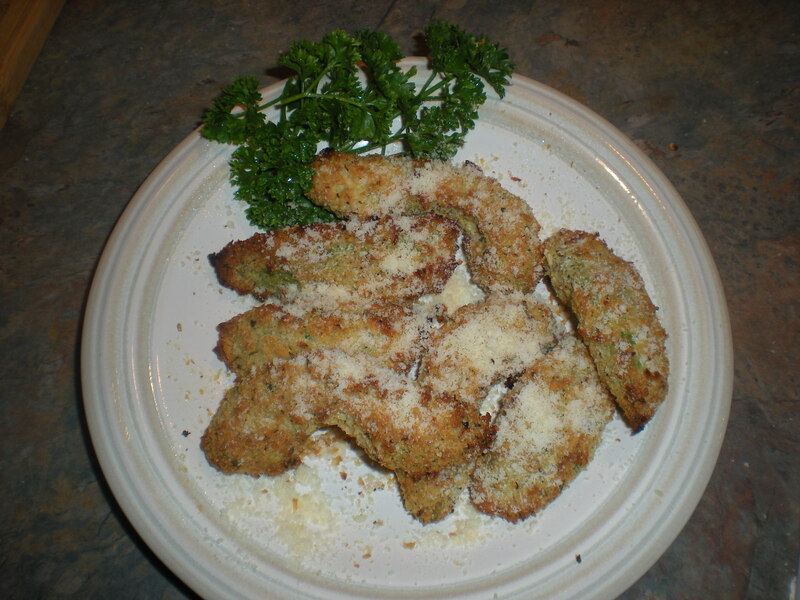 Sprinkle with Grated parmesan cheese. 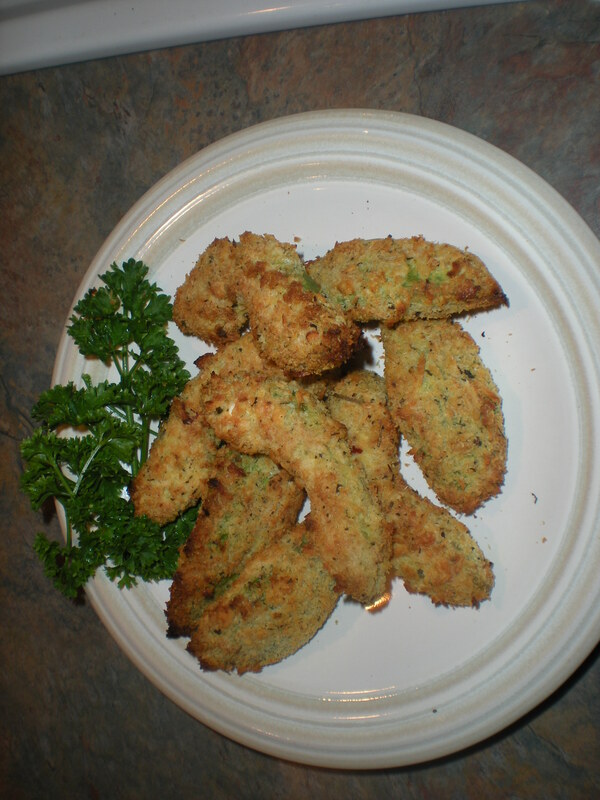 and serve with ranch dipping sauce! 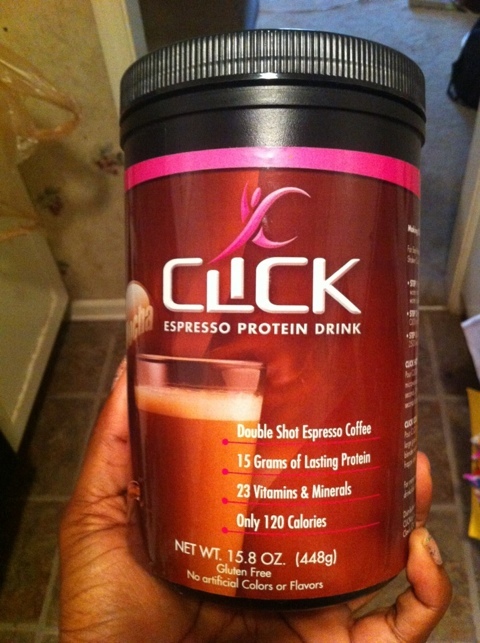 I saw this protein drink on theworldaccordingtoeggface.com called “Click” and decided to try it. OMG!!! This is amazing! I’m not a coffee drinker at all but the Mocha Espresso flavor is pure bliss! It has the right amount if chocolate and coffee flavoring. It can be made either hot or cold. It doesn’t clump or have a funky after taste or smell. It has 120 calories, 30g protein (for 2 scoops I think) and only 6g if sugar!! It’s a great way to start your morning or take the edge off of your cravings! This is SO worth trying! Okay so I took this recipe for the 400 calorie fix cook book. 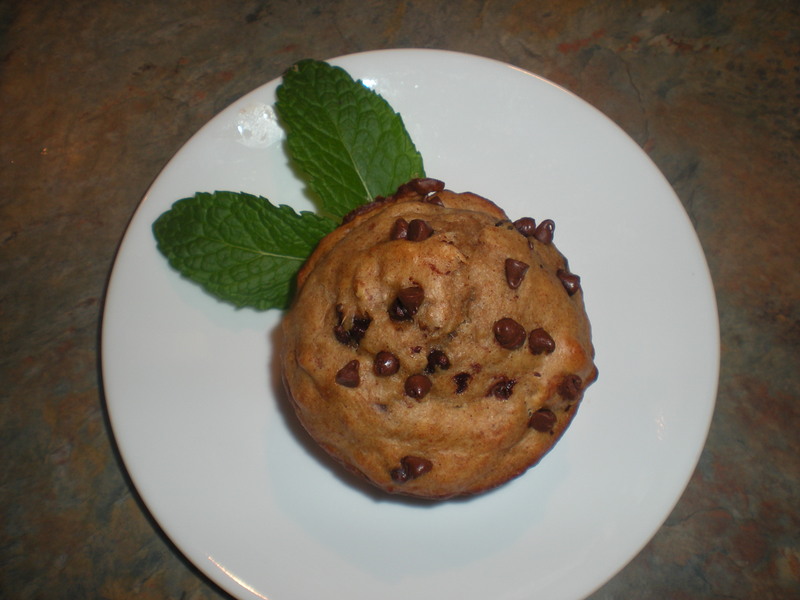 But after I added mini chocolate chip these little babies, I’m sure they’re over 400 calories now.Oh well! 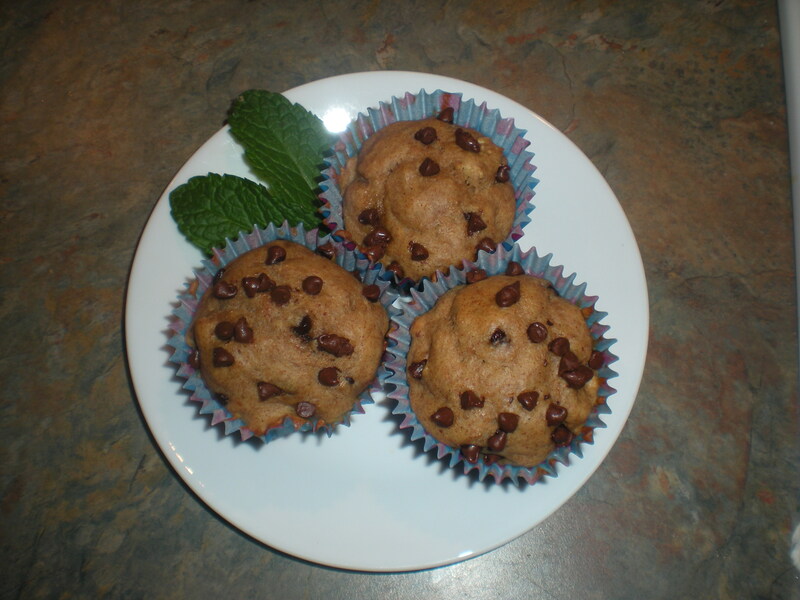 They still taste great and these are a healthier option if you want to indulge. My six year old ask me to make these from now on. These will be my breakfast tomorrow! Yum! Preheat oven to 350. Coat a bread loaf pan with cooking spray. 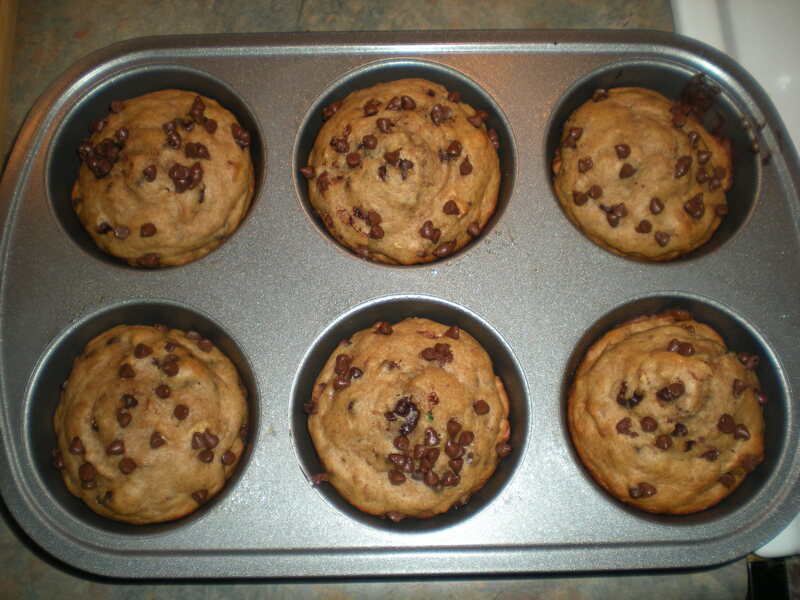 I used large and regular size muffin tins instead to help with portion control. 1. 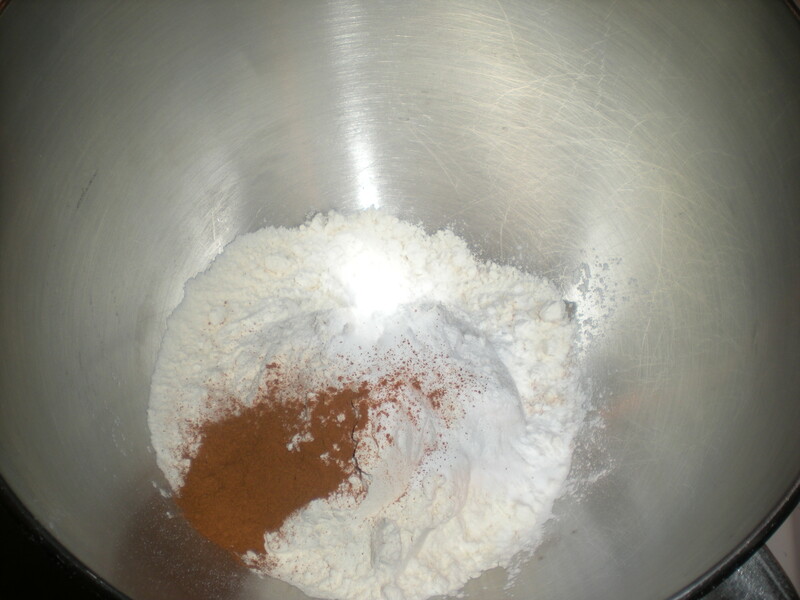 Combine all-purpose flour, whole wheat flour, baking soda, baking powder, cinnamon, and salt in to a large mixing bowl. 2. 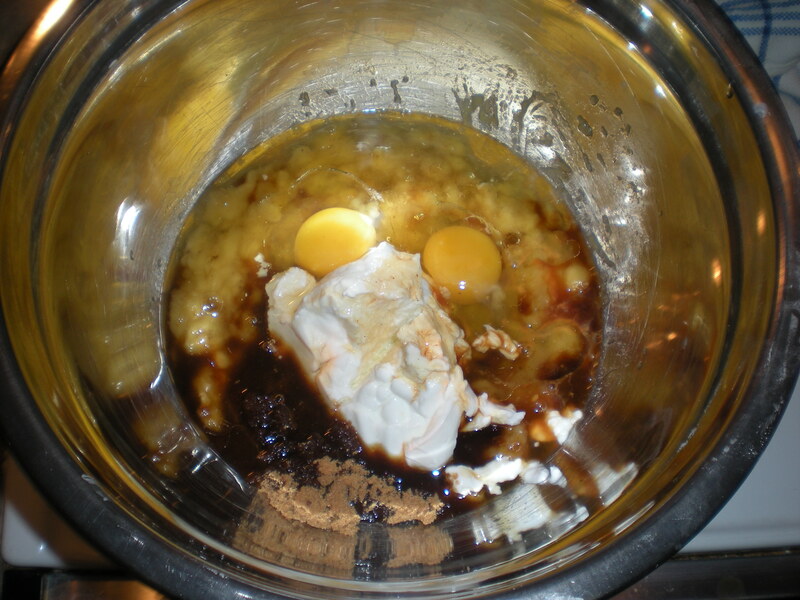 Mix together bananas, sugar, eggs, yogurt, oil, and vanilla extract in mixing bowl until well blended. 3. Add the dry ingredients. Stir just enough to combine. Add walnuts and stir to combine. Don’t over mix. 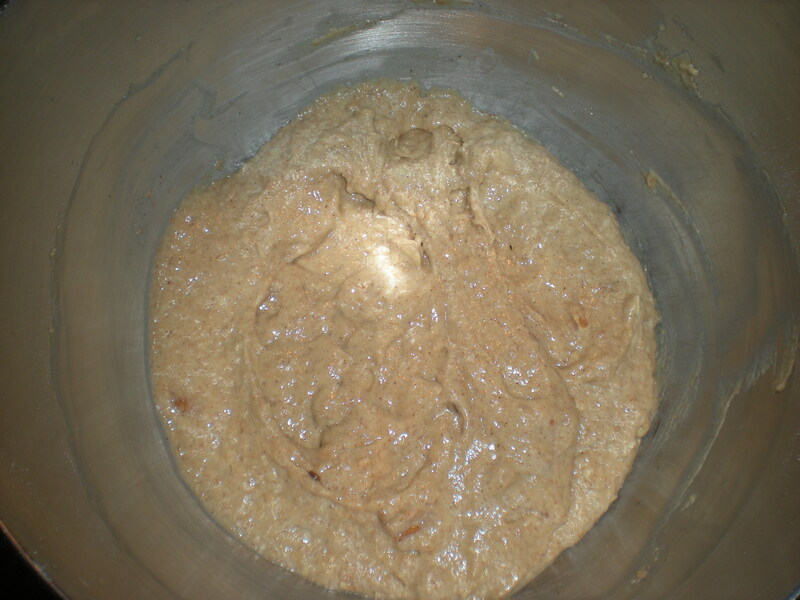 The batter is very thick, it kinda of reminds me of glue. I have to spoon it in to the tins. 4. 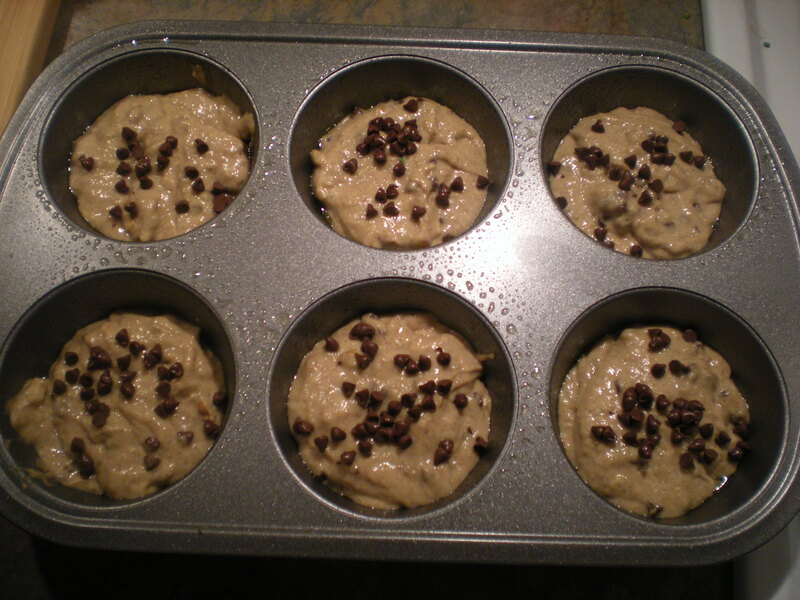 Pour into muffin tins, and back for 25-30 minutes. 5. If using a loaf pan, bake for 45 minutes or until top is brown and wooden tooth pick comes out clean.